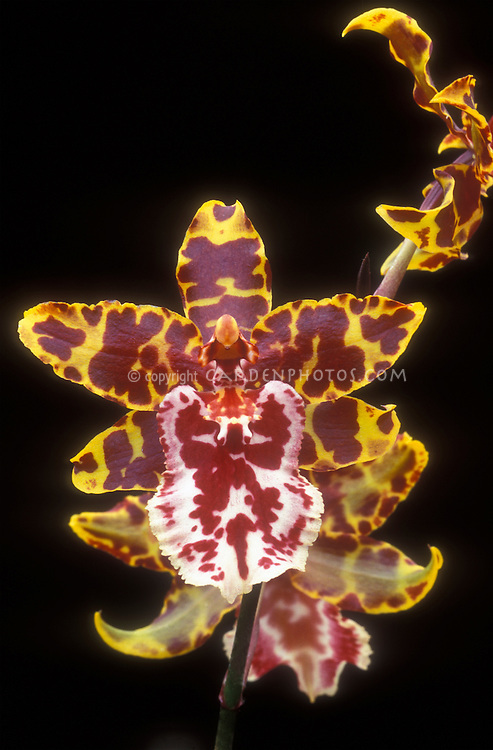 Extremely popular integeneric orchid Colmarara Wildcat aka Odontocidium Wildcat . Correct genus is now Oncostele. Oncostele Wildcat.